The Yenching Academy’s flagship event, the Yenching Global Symposium 2018, is now accepting applications! 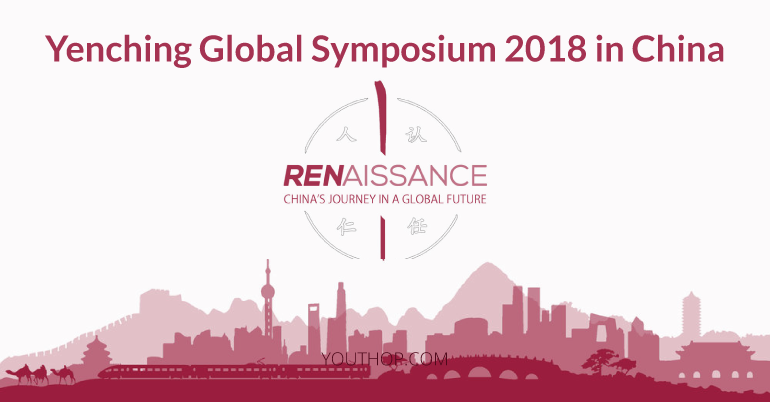 This year’s theme “RENaissance: China’s Journey in a Global Future” explores China’s multifaceted revival in a rapidly shifting global arena. The forum will bring together outstanding graduates from across the world to the historic grounds of Peking University in Beijing, from April 12th-15th, for four days of interactive discussions, simulations, site visits, networking sessions and immersion activities. Successful applications will have their accommodation, meals and round-trip flight funded. Apply Now. New friendships, insights, and breakthroughs await! Selected delegates will have their expenses covered for a full round-trip flight to Beijing, four days of accommodation, and meal costs. Access to lectures by prominent international scholars and professionals, interactive discussions, simulations, and site visits. Participation in a global network of thriving China-passionate young people. Opportunity to explore Beijing and Chinese culture through immersive activities.